Topic: The Snake River : from Three Forks to Columbine. Adams, Anna Mae Fleming. [S.l.] : [S.n. 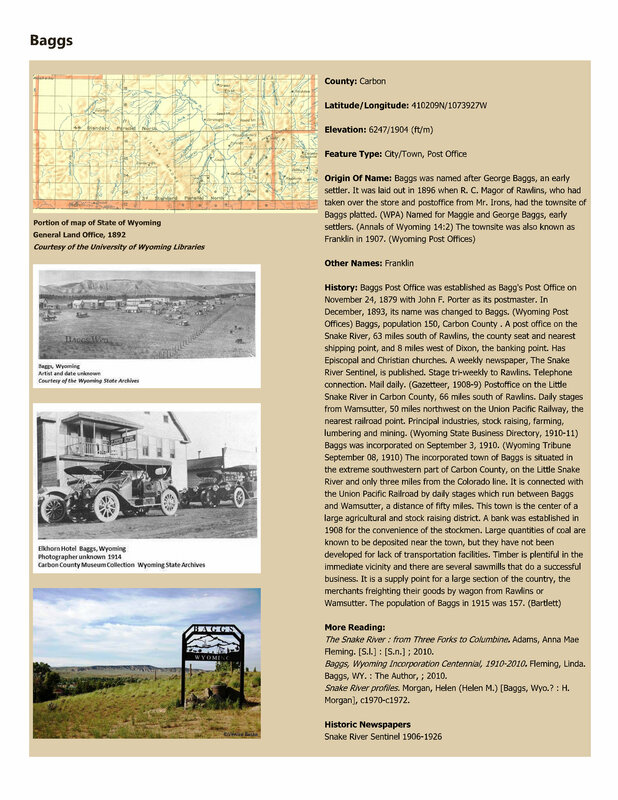 ]; 2010.; Baggs, Wyoming Incorporation Centennial, 1910-2010. Fleming, Linda. Baggs, WY. : The Author,; 2010.; Snake River profiles. Morgan, Helen (Helen M.) [Baggs, Wyo.? : H. Morgan], c1970-c1972.